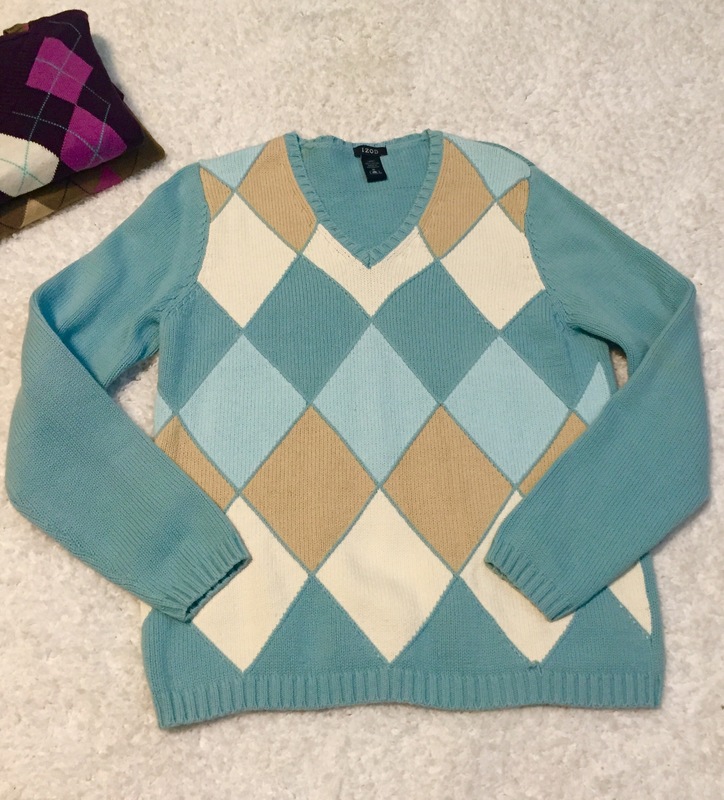 Shopping in my closet the other day and found I had several argyle sweaters, who knew!?! Love this pattern and perfect for the Fall Season. 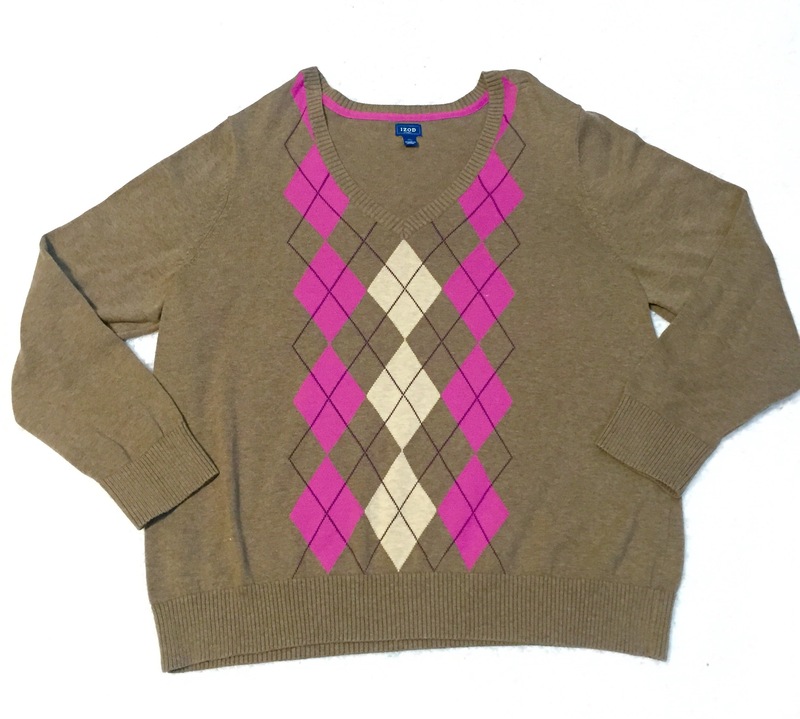 The argyle pattern is composed of diamond shapes that overlap creating a sort of 3D effect. This pattern first used for kilts and plaids and especially on socks. My grandpa had dozens! The Argyle pattern is Scottish in decent. 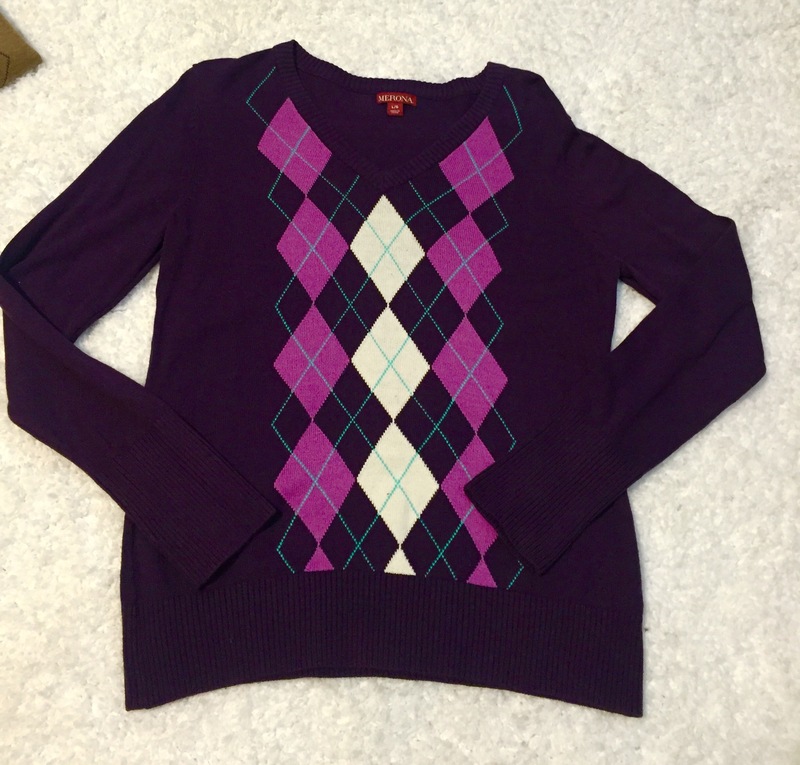 I created a board on Pinterest and a Treasury on ETSY for some great examples of Argyle. Enjoy! 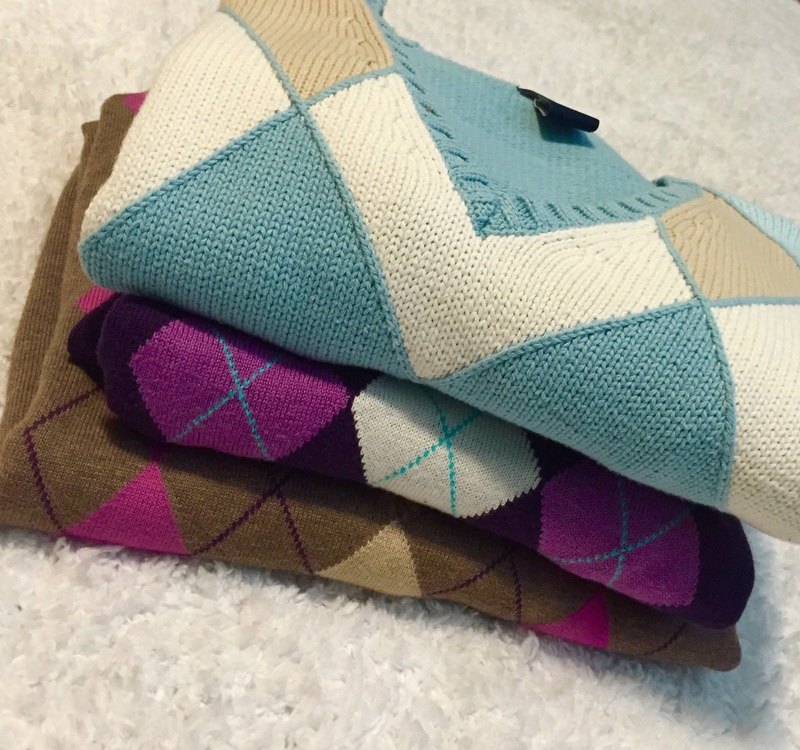 Below are my argyle sweaters ready for the cooler weather….. I just stopped by your BLOG-nice to meet you!! !